deathnote. . HD Wallpaper and background images in the Death Note club. 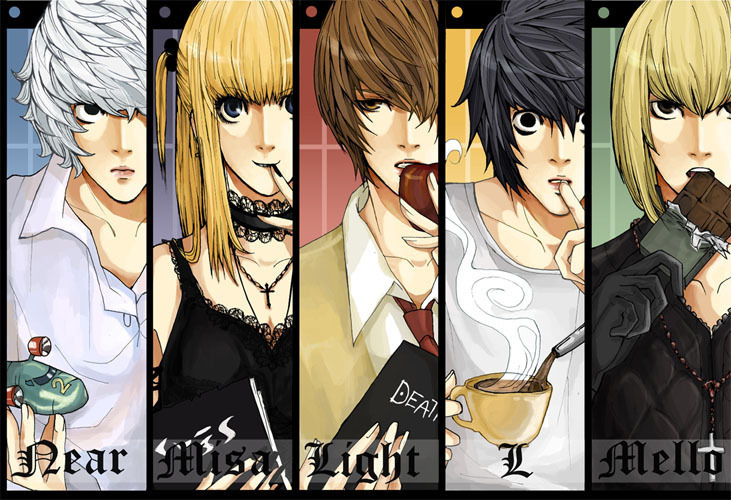 This Death Note photo might contain anime, grappig boek, manga, cartoon, and stripboek. Lol dis be tha greatest dae in meh life! If you are real talk to me, okay....Go to my profile so we can chat go it? good!